How to use the new Dagger 2 Android Injector? 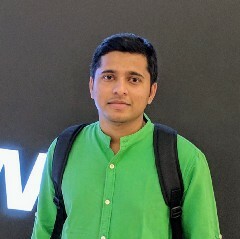 This article is all about implementing the new Dagger 2 Android Injector in an Android application. In case, you are not familiar with Dagger 2, refer the below article. 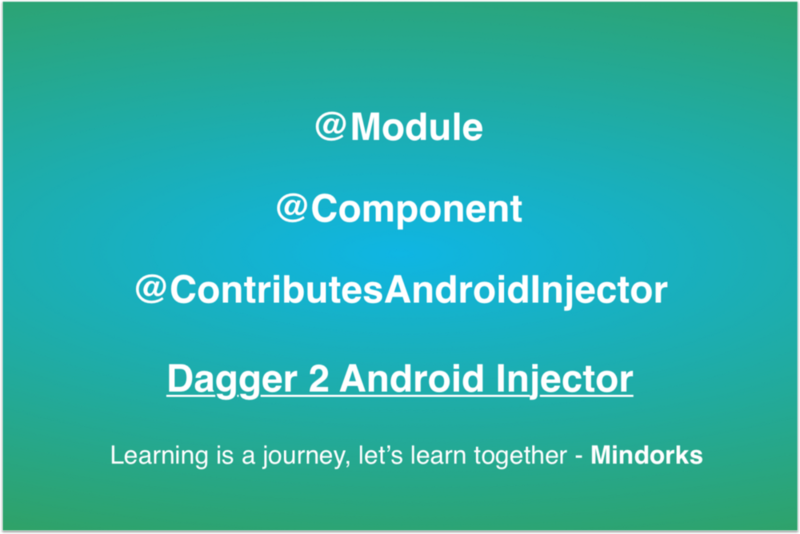 The new dagger 2 is released with the Android support module and the Android compiler. The complete implementation can found in this project. The above project and the below diagram are very important for the new Dagger 2 Android Injector. From the above diagram, I will be describing till the MainActivityModule. For the complete implementation, you can check the project. First of all, create the AppModule. This will provide the dependencies required for the overall application level. Then, create the ActivityBuilder. Here, we have to use the new annotation ContributesAndroidInjector. Then, create the MainActivityModule. 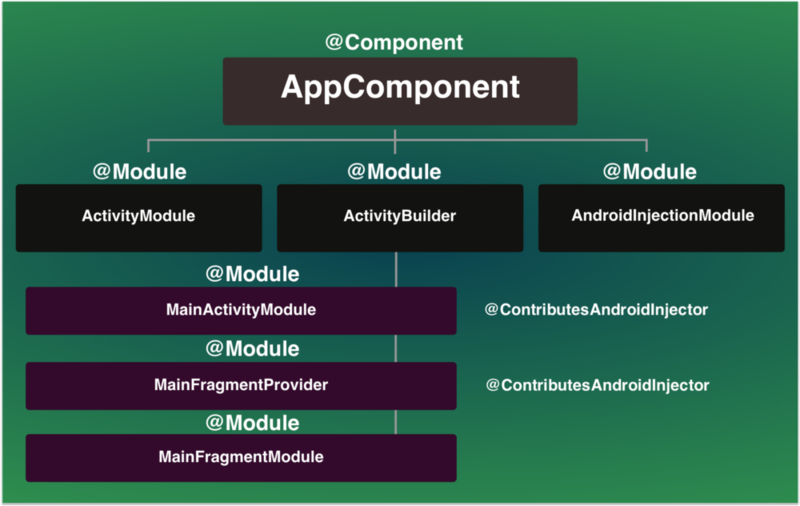 Here, the MainActivityModule provides the dependencies specific to the MainActivity. Then, if the fragment modules are required. Refer this project for details.Then, create the AppComponent. It enables the selected modules and used for performing dependency injection. Then, when you build the project, it generates the DaggerAppComponent.After that, you have to implement the HasActivityInjector interface in your Application class and inject like below in the application class. Then, in the activity class for injecting, you have to do like below:You have to use the AndroidInjection.inject(this). Similarly, you can check the project to refer how to inject in the fragment.Believe me, the best way to learn Dagger is by playing with it. Clone, fork the above sample project and start playing with it.